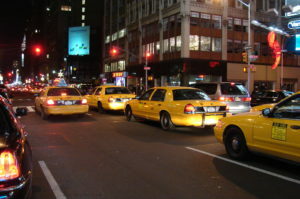 New York’s Taxi and Limousine Commission passed a rule in December requiring that ride-for-hire platforms like Uber, Lyft, Juno and Via pay their drivers at least $17.22 an hour. The driver pay requirements are expected to result in an increase in take-home driver pay from $11.90 net per hour to $17.22 net per hour. Lyft and Juno filed for injunctive relief in a NY Supreme Court (the state’s trial court). Lyft and Juno claim that the rule was unfair because it disproportionately hurts smaller companies. Lyft claims that it will give an advantage to Uber who is the largest ride-sharing company in the industry and market. The market share is Uber > Lyft > Juno. To date, the FHV companies have bypassed the city’s $15 minimum wage for workers because their drivers are classified as independent contractors. I wonder how heavy-handed the Commission should be in regulating competition in the marketplace. Boutique Fitness as an Entrepreneur’s Paradise? Patrick Manion on Attending conferences as a low level entrepreneur/law student.